Developed for launch vehicle roll and attitude control systems and adapted to be implemented for controlled re-entry of satellites. 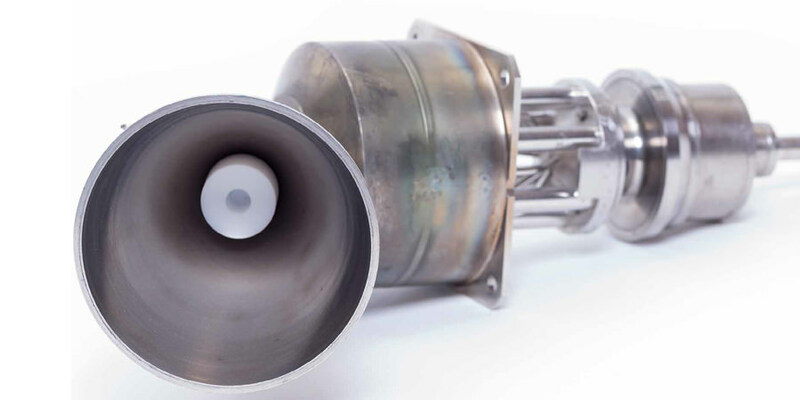 The 400 N mono-propellant thruster uses the storable propellant hydrazine N2H4 and is designed for both long term steady state and pulse mode operation. 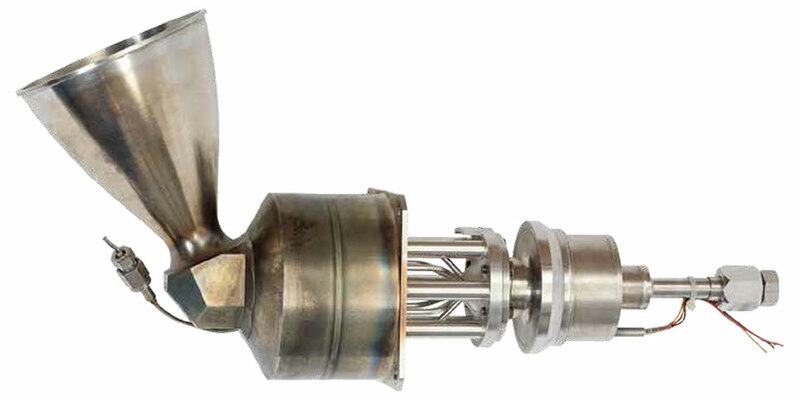 This thruster is primarily used for the attitude and roll control of the Ariane 5 launch vehicle during its ascent. The thruster can also be used for re-entry attitude control applications as successfully demonstrated during ARD mission. The thruster operates over a wide pressure range and is thus ideal for blow down propulsion systems. 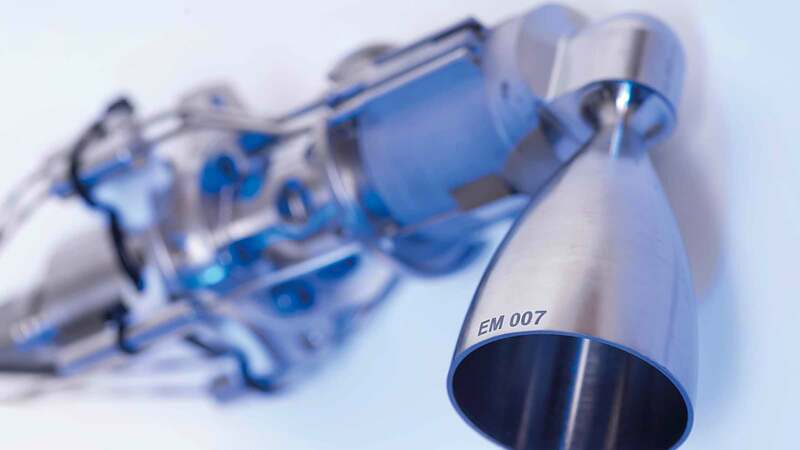 The combustion chamber and nozzle are manufactured from Haynes 25 alloy. 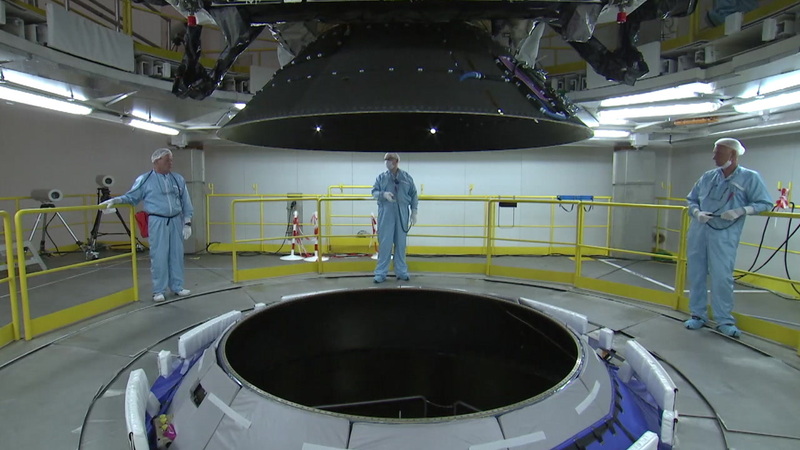 The structure is also designed to serve as a heat barrier for protecting both the propellant valve and spacecraft structure.